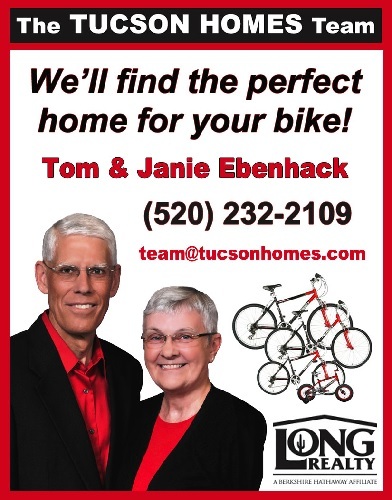 Tucson Gran Fondo Information Page - Greater Arizona Bicycling Association, Inc.
Ten55 Brewing and Sausage House will be hosting a Tucson Gran Fondo Registration Happy Hour on Tuesday February 12 from 5-7 pm. Anyone who registers during this happy hour event, or has already registered for the Tucson Gran Fondo, will also receive a Ten55 Gran Fondo Amber beer! GABA representatives will be onsite to assist with the registration process so please join us for a fun evening and a chance to sample some tasty Ten55 beer and food! - Delicious craft sausages and beers provided by Ten55 Brewing and Sausage House. - Raffles for Ten55 Merchandise. - 3 Tokens for Beer or Sausage. Extra Raffle Tickets will be available for purchase on day of the event. Remember, all ride fees include Gran Fondo T-shirt, 3 - Tokens for Ten55 Beer or Sausage, and 1 - Raffle ticket for Ten55 Merchandise. Check In/Day of Registration time: 8:00 am to 9:30 am at the Start/Finish on Scott between Congress and Broadway. Staged release-No more than 10 riders to a group per Pima County Department of Transportation. • Rider check-in & registration on the day of the event will open at 8:00 am to 9:30 am. Please review each route to find your route check-in time. 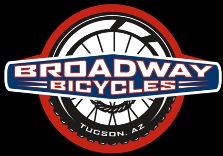 • Rider check-in & registration location: at the Start/Finish on Scott between Congress and Broadway.